Games for Business, the international award-winning multi-award learning platform, makes learning processes more efficient with a multidimensional motivation mechanism. We offer an experience-based learning on topics where traditional eLearning systems fail (organizational information, policies, product or service features, regulations) by integrating information into a transparent, motivating, and clear rules world of games. Moreover, the platform transmits information and trains behaviours operating with a motivational mechanism that develops a self-reflective attitude that stimulates learning. 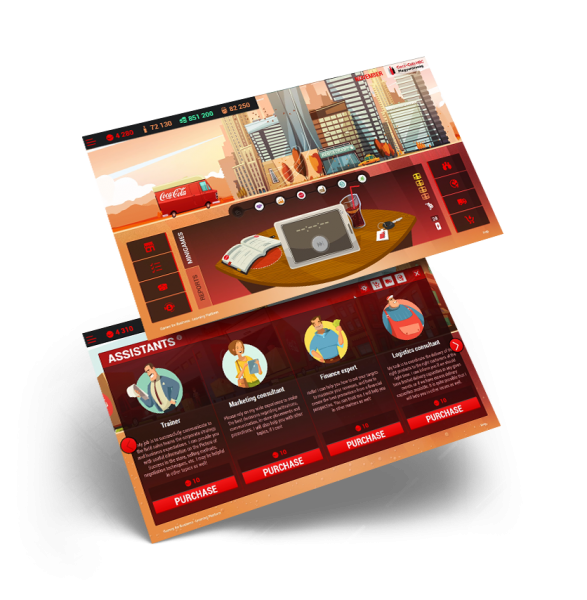 Human resources managers, as well as any manager who runs teams, will find in Games for Business platform the best solution for improving knowledge transfer, adopting new behaviors, and building and consolidating the employer brand. 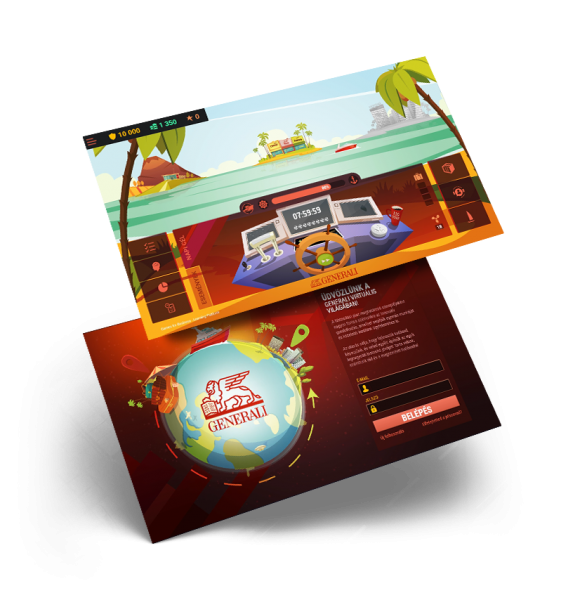 The platform and the games can be personalized conceptually according to the purpose of the organizations, and, of course, also in terms of the design, based on the company’s visual identity. Games For Business is an internationally multiple winning company with awards such as the Intercultural Innovation Award (2012), GSummit GAwards (2013) and the London Learning Technologies Award nominated (2016 and 2017). Some of the projects implemented include companies like Coca-Cola, Telekom Telenor, BP, HBO Europe, PwC, SAP, Grundfos, KPMG and others. 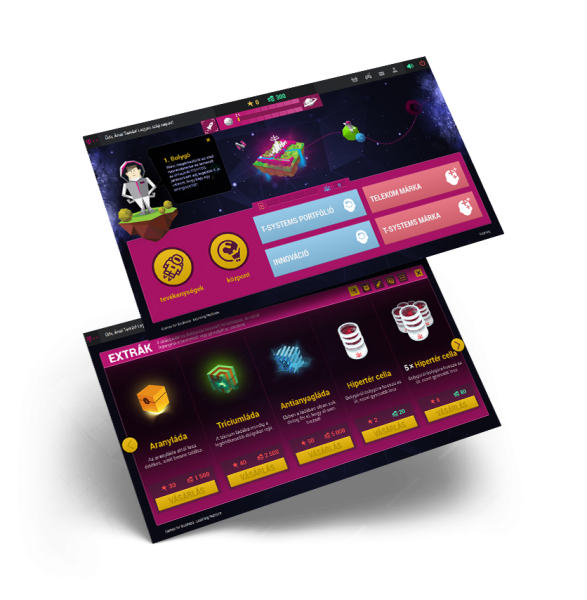 The goal of Games for Business is to create a motivating corporate learning system, in which learning is not a task, but a continuous internal demand. The Games for Business learning platform provides experience-based learning in topics where traditional e-learning systems fail (organizational information, policies, and factual data) by integrating information into the transparent, regulated and motivating world of games. Our platform transmits information and coaches behavior by operating with a multi-layered motivational mechanism that fosters a self-conscious attitude. Learning materials are integrated into various brain challenging mini-games. Their primary goal is to transmit knowledge effectively. This module provides the external motivational factor through redeemable virtual and physical rewards. Work task recording and development tracking serve the purpose of coaching employees about new or expected behaviors and planning their progress. The frame story visualizes progress and shifts the perspective by creating an emotional bond with corporate values. This module serves business purposes such as content management and detailed reports and statistics of user activities.